This picture shows America fighting Japan. 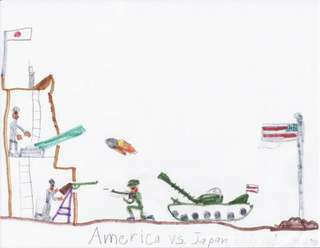 Japanese soldiers are in a fort and Americans soldiers are shooting at it from a tank. well done this picture is awesome. without warning you put this up and amazed all 10 year old girls ( and boys) within this amazing pic!